SAML Support: OneLogin, Okta, and more! As Expensify has grown up, we’ve put more and more energy into adding functionality to give admins more control over how employees interact with Expensify. Today, we’re happy to announce that we fully support SAML single sign-on via both our website and mobile app. We can work with any identity provider, such as OneLogin and Okta, as long as they support SAML 2.0. 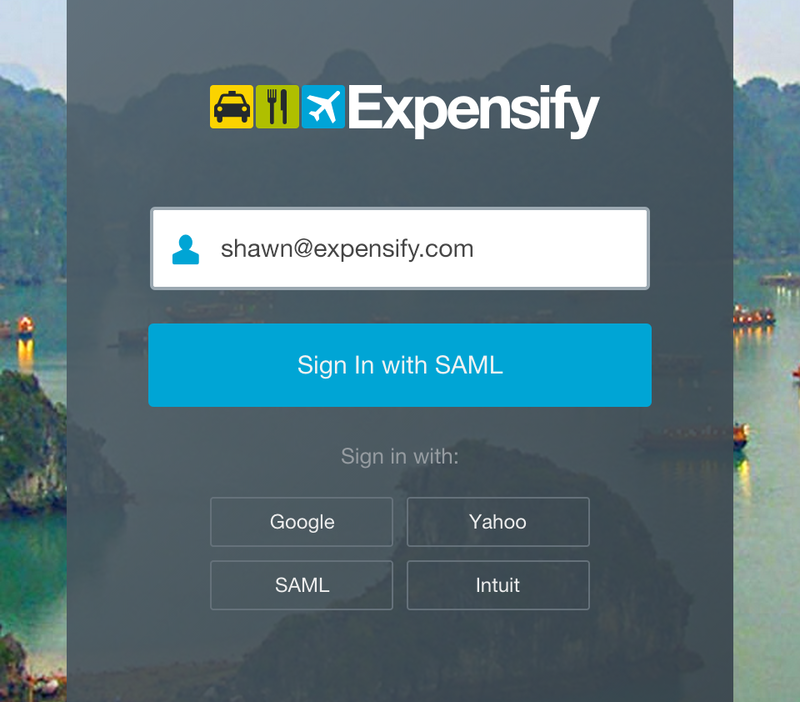 We hope SAML will make it easier for employees to log into Expensify, while allowing companies to have more control over passwords and access to the system. Happy SAML-ing! For more information on how to set this up from your company visit our SAML help page. If you have any questions or want to sign up for a free trial, feel free to write to us at help@expensify.com! 2 responses to SAML Support: OneLogin, Okta, and more! It’s great to see mobile apps becoming SAML-capable, but we’re finding that the user experience in Expensify Mobile is very poor. We use Okta with Duo Mobile for two-factor authentication, which adds some extra work to the login process. Most mobile apps use long sessions to keep users from having to go through the full login on their phones every time they use the app. Expensify Mobile basically requires you to go through the whole process whenever you open it. This is particularly awkward for travelers, as they may simply want to take a quick picture of a receipt and then have it sync up to Expensify when they get back on hotel or office WiFi. Are there any plans to add mobile-specific configurable session lengths or some other mechanism to make this less painful?